The first part for our project in Rotterdam is almost finished. During this first phase we had to convert the width of one of the conveyors from 1.6 meters to 1.8 meters over a length of 1.4 kilometers. Yesterday the last element was placed and the final, smaller pieces can be mounted. 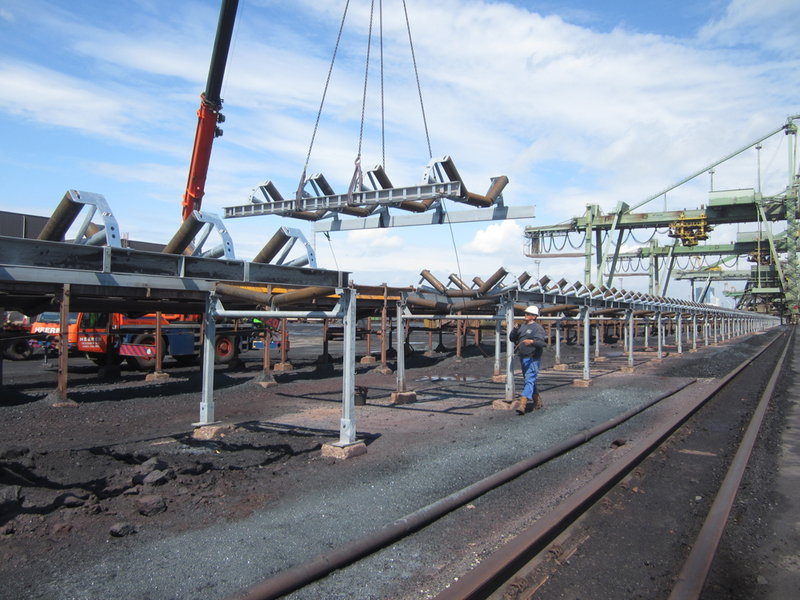 In addition the heads at the Eastern and Western side of the conveyor are almost complete. During this first phase everything ran very smoothly thanks to the good organization of the construction site and the continuous follow up. The conversion of a second conveyor starts in August.